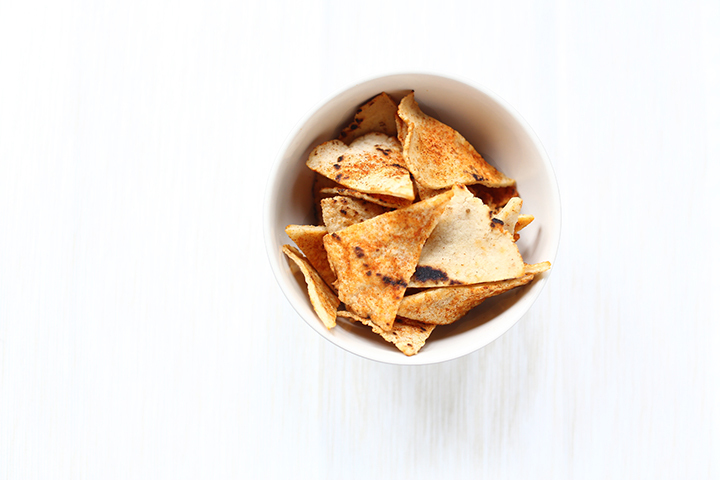 How to make tortilla chips because it is really easy to do and it is a healthy snack! 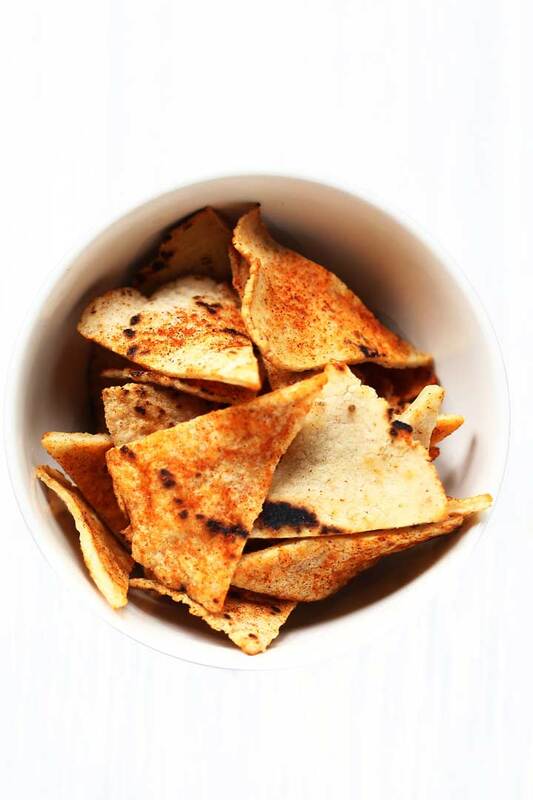 These tortilla chips make you want to come back for more again and again. 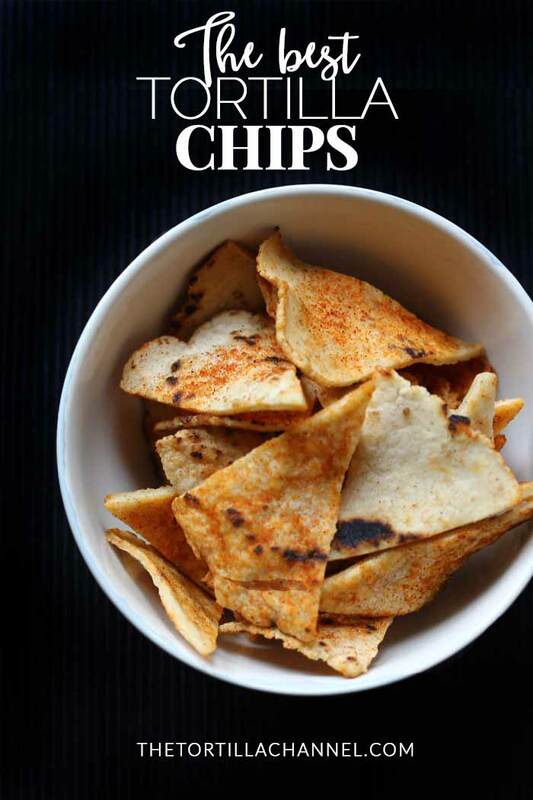 Do you want to know how to make tortilla chips that is easy, homemade and spicy? Lets get started! 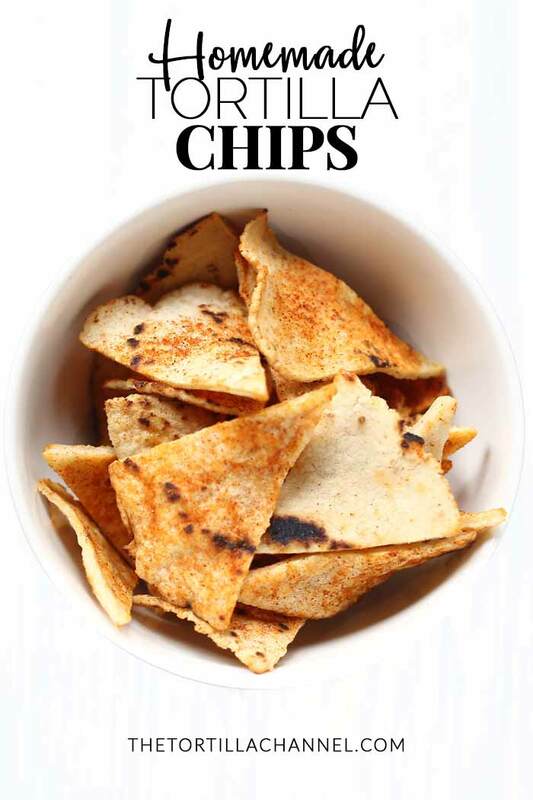 These tortilla chips are so easy to make and only takes you about 15 minutes, so a great recipe for the weekend. Best of all you can flavor them anyway you like. Tortillas plain or flavored, it doesn’t really matter because either way you will get a delicious tasting snack. It is lower in calories because they are oven baked and we do not use oil but cooking spray for baking these chips. 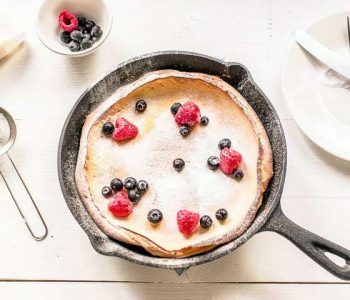 If you use homemade tortillas try and make them as thin as possible. 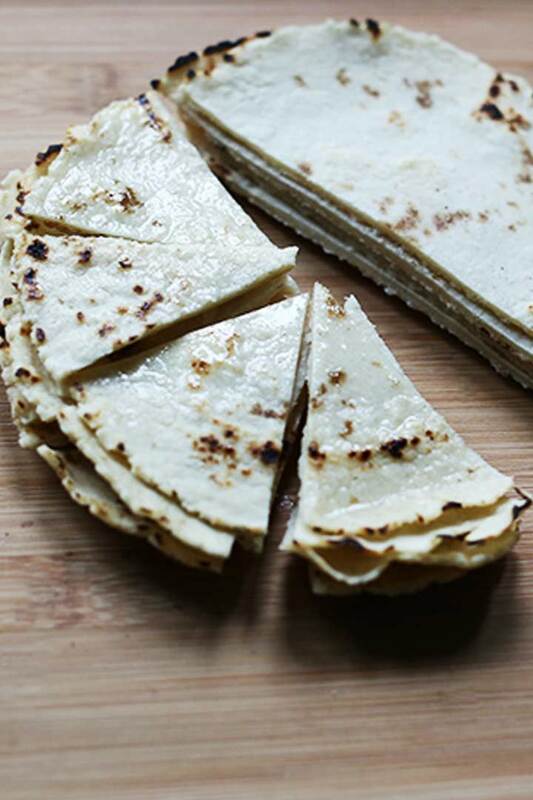 Thin tortillas crisp up very well when baked in the oven. 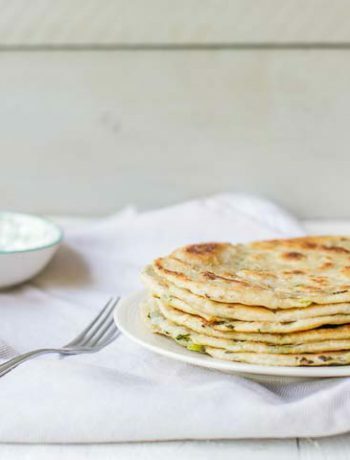 Thicker tortillas usually stay a little doughy or have to be baked longer to get crisp. So thin tortillas is the way to go. As these chips are made with corn tortillas which are gluten free you can eat them without hesitation if you are gluten intolerant. 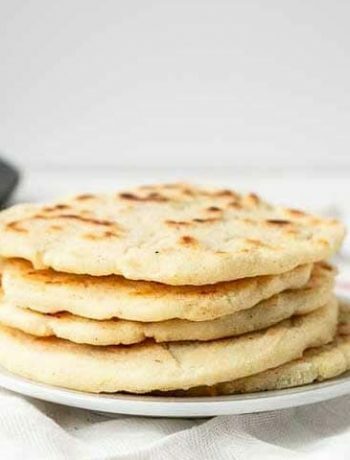 You can also make them with regular tortillas just follow the recipe but monitor them closely when in the oven as these will brown faster than corn tortillas. This is because regular tortillas are thinner and the structure is less dense then corn tortillas. Check every 5 minutes and remove from the oven when golden brown. So how do we start? First of all we need some good quality corn tortillas. 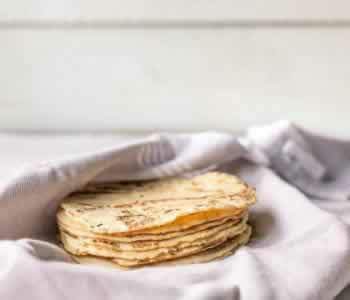 You can use store bought ones but as it so easy to make corn tortillas I used homemade tortillas. Normally tortilla chips are deep fried in oil which makes it really tasty but also gives it loads of extra fat. I don’t know about you but I only have to look at anything fatty to make it stick to my hips. So to keep it low fat I use this little trick. After cutting the tortilla in small wedges I put them on a baking tray and use cooking spray to cover the chips with a small coat of oil. You can also spray the whole tortillas first (front and back) before cutting them in wedges. If you do not have cooking spray you can use some sunflower/vegetable oil and put on the tortillas using a brush. 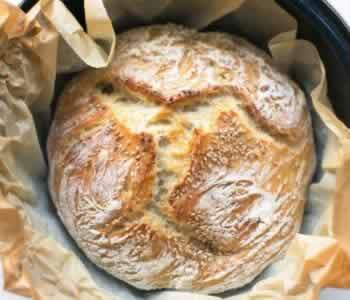 Pre heat the oven at 435 ℉ (225 ℃) before baking. Put the tortilla chips in the oven for about 15 minutes. About mid way through the baking time turn the chips to make sure they get nice and brown on both sides. If they lack color leave them in a couple of minutes longer. When they come out of the oven immediately sprinkle the spices on the wedges. I used chili and paprika but you can add what ever you like. 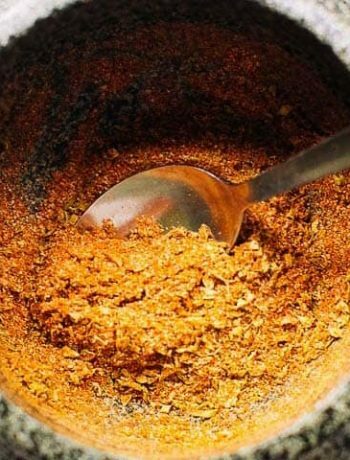 As long as tortilla chips are hot out of the oven you can sprinkle finely grated cheese or any kind of powder on them and it will stick. I hope you enjoy this how to make tortilla chips recipe! Made a recipe tag @thetortillachannel on Instagram or PIN on Pinterst. 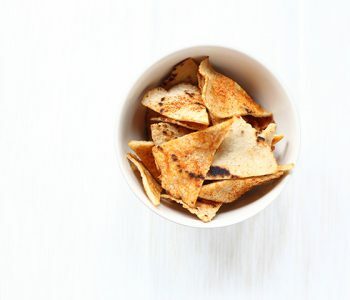 How to make tortilla chips that are oven baked and spicy? 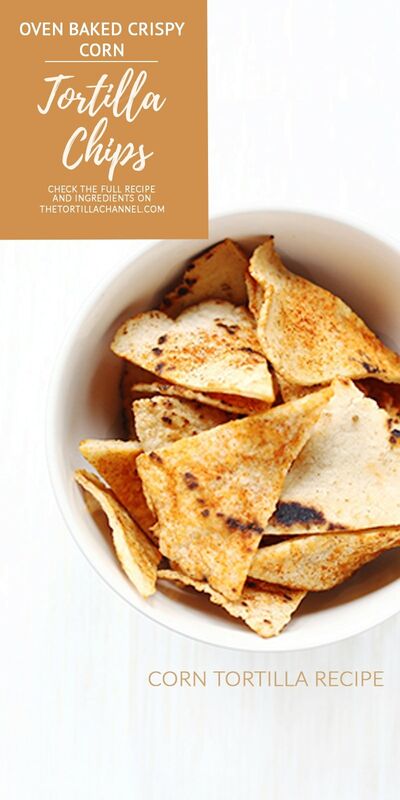 Take a look at this simple recipe and turn your corn tortillas into tortilla chips. 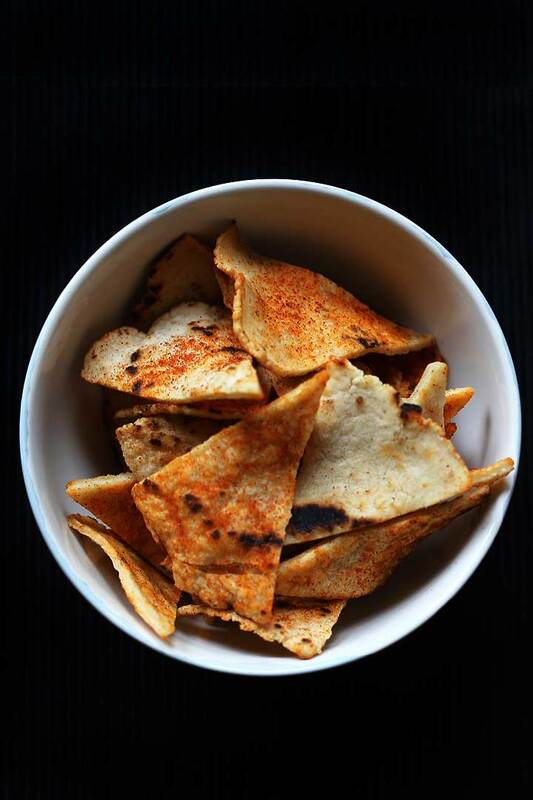 Let the tortilla chips cool to let them go nice and crisp. Store in a ziplock bag so they do not go stale.